In this week's live talk, I explore a Christian response to Great Britain's EU Referendum result. The bible reference is Matthew 21: 33-46. In 1999, whilst I.was working for a multinational energy company, Queen Elizabeth II was to visit our headquarters as part of our centenary celebrations. I was running our UK filling station business at the time, and was asked to show her round a mock-up of one of our convenience shops. As the afternoon of her majesty's visit approached, I remember feeling rather apprehensive. Would this be her first experience of such places? Was she familiar with the concept of snacking on the move? As the afternoon arrived, the Queen was shown around various exhibits, until she arrived at my store and I was introduced. My feelings at the time were a mixture of terror and anxiety. I responded, as I sometimes do in moments of panic, by striking an air of slightly false informality. After a few introductory remarks, I led her majesty and her retinue towards the roller grill section, which was proving so popular in our Scandinavian operations. Informality held sway over sober judgement: "Would you like a hot dog? ", I asked the ruling monarch. The uncharacteristic speed at which she moved on to the car care section told me all I needed to know. The next morning, the Times reported on its front page "Queen refuses hot dog". I offer this story, partly as a reminder of the type of situation with which the Queen has graciously dealt over many of her now ninety years. But I also offer it on my own account, not in confession, but as a reminder of the errors of judgement we all make during our lifetime. This particular one was not disastrous, merely a minor breach of royal protocol. I was recently asked over lunch by friends: "what advice would you give your 16 year-old self?". Re-reading Richard Foster's words on confession, I might be tempted to advise not to go through life afraid of our making mistakes, but in wrongdoing against God, to embrace the cycle of confession and forgiveness we receive through Jesus Christ. When so embraced, we carry with us the desire to 'lead better lives' that is rightfully the burden of authentic Christianity. We will never be without sin, but to live without the heart to change is the worse fate. 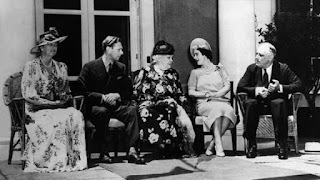 I later discovered that I was not alone in having offered a reigning British monarch a hot dog. Roosevelt as President of the US, (back in June 1939) had served two hot dogs to the current Queen's mother and George VI in Hyde Park, Washington DC. Had I been a better historian, I might have pointed this our to our Queen back in 1999. How she would have replied will remain a matter of speculation. Bob and Olive lived in a tiny village, by the sea, a couple of miles south of Amble in Northumberland. There was nothing beautiful about the village but it was situated just above the endless, hard, flat sands that are characteristic of that part of the North East coast. It still has that wild beauty. Both were born in the 1890s and had lived in that tiny hamlet all of their lives. Bob had worked as a coalminer and his hands had severe arthritis from the relentless and hard nature of his work. When I knew them, as a weekend and holiday visitor, both were in their 70s. Bob was mobilised for the First World War but never got further than 'Bormin'am'. Olive had never travelled as far as 'N'cassel', only 25 miles to the south. Their marriage and lifelong commitment to each other defies many contemporary descriptors of relationships, but I was reminded of those things in reading Richard Foster's chapter on the discipline of service. Neither had ever enjoyed alcoholic drinks. Olive loved lemonade ('pop') and Bob would walk into Amble and back to bring her a fresh bottle or two, and take the empties back. They would pick blackberries together and make a pie with the fruit. If one was ill, the other would sit with them until they got better. The service of small things. Theirs was a life of complete co-dependence, mutual service and care. Their tiny home, ten yards from the beach over which the Northern winds blew, was a place of the most generous hospitality. All and whatever they had would be made available to guests. A bowl of pease pudding was a favourite. Conversation was boundless and Bob would fuel a fire with the sea coals he had collected from the beach. For one who had seen so little of the world, Olive had endless funny stories about people and their idiosyncrasies. Service was not limited to each other, but something extended to those who visited, even those from very different backgrounds. To enter into the spirit of service, not just once a day but as a way of life, might be the most challenging call we receive. Bob and Olive's world was a simple one, but they kept it so. 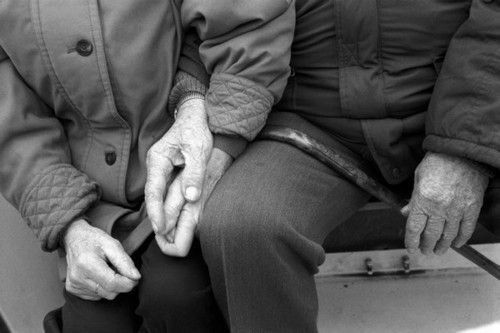 Their devotion was Godly, it was to each other and those put in their path. As Christians, the 'narrow way' set out for us is one where service is not just a feature of our closest relationships, but of our approach to all those we encounter....believing that, by humbling ourselves to serve others, we bring our God in Jesus Christ the greater glory. We may sometimes feel overwhelmed by the scale of the task of service, but God sees that we are strengthened and not diminished by it. One of the dubious pleasures of 1970's TV sport, was the inclusion of British professional wrestling in ITV's 'World of Sport' programme on Saturday afternoons. Colourful characters like Mick McManus, Jackie Pallo, Pat Roach, Adrian Street and Big Daddy would, rather theatrically, try to force each other into submission. Professional wrestling of that sort bred eccentrics. In an interview of the time, Welshman Adrian Street revealed that his hobbies were the making and painting of model soldiers, sculpture and the study of reptiles. Meanwhile, everybody's 'gran' was an avid follower of the wrestling. Mine would sit in rapt attention, with a bag of boiled sweets and shout at the telly. The events themselves were attended by large numbers of female followers. 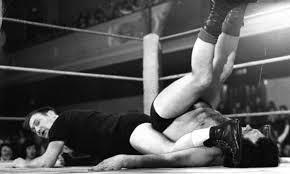 The bout was over when one of the 'grapplers' shouted or tapped out submission, and the referee stepped in. The rendering of the other as powerless was the aim. No freedom of movement, Defeated. Occasionally, if it was sensed that the wrestler was in danger, his manager would literally 'throw in the towel'. It is counter intuitive to read that there is a freedom in submission (Foster p138). Foster makes the point that getting our own way, winning arguments, being treated well by others are those things we have come to expect as reflections our merit and aspiration. Submission to a contradictory discipline gives a freedom that stretches our heart towards God. By submitting to God and not ourselves we grow in grace, consideration towards others and unconditional love. When I checked into a hotel this week, the room I was allocated was a quarter of the size of the one I had previously stayed in at the same hotel. It would have been good for my ego to have complained and been upgraded, Instead, it was good for my soul to remain where I was and learn to find something new and wonderful therein. Life is made up of hundreds of experiences of which this is one trivial example....countless opportunities to submit, be humbled and grow. Submission is difficult, perhaps the most problematic of all of the disciplines. It reverses our desires and the compulsions of human nature. But without it, what are we? Without it we wrestle with the world, but not with the truth. 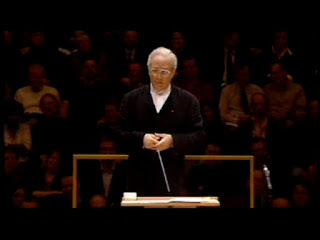 The conductor’s baton is held loosely; the orchestra not engaged. In 1952, American composer John Cage premiered a now notorious piece of music which required the performer(s) not to play their instruments. For 4 minutes and 33 seconds. The result was silence. Well, almost silence. Certainly, no musical notes were issued from the instruments. So any noise created during that time was the noise of the building, the audience, the traffic outside. Originally, Cage’s working title for the idea was “Silent Prayer”. In it, he was trying to challenge the audience’s and critics’ perceptions of “what is music?”, or I might add “where is music?”. In doing so, he brought us into fascinating territory. 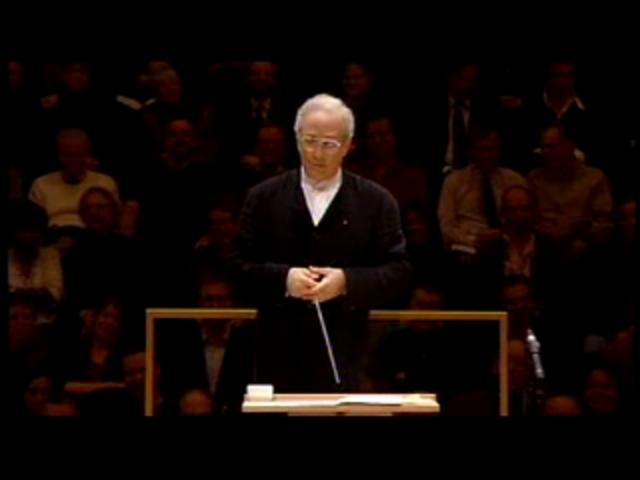 If we sit in a concert hall, the pianist opens the piano, we will expect music. If we walk into a meeting at work, we expect talking. If we walk on a beach, we expect the sound of waves and seabirds. Silence challenges every part of us – our expectations of ourselves and others, our need for predictability and more. Silence can bring us peace and, in different circumstances, bring us anxiety. It is a universal sign of respect, yet also a sign that we have forgotten what it was we meant to say. Richard Foster directs us towards moments of solitude and silence in our day. He calls them sanctuaries. They are the empty places (and spaces) where we listen to ourselves, listen to God. They are the silences that put the noise into perspective. They are the times of alone-ness where we see ourselves in relation to others and to God. Just as Cage’s piece encouraged listeners to ask those challenging questions concerning the nature of music, it is in silence, too, that we are inevitably drawn to the eternal questions of our place in God’s universe and heart. Back in 1972, my friend Susan and I were constant features of the Newburn Swimming Club (Under 14) team in the west of Newcastle; she on girls' backstroke and I on the boys' freestyle. We were great friends; not hindered by the fact that her older brother played in goal for Blyth Spartans, a hero of their FA Cup runs at that time. However, there was one thing about Susan that I couldn't immediately appreciate. That was her deep admiration for the works of singer/songwriter, Gilbert O'Sullivan....and in particular for the song, Alone Again (Naturally). It is the story of a young man, jilted at the altar, who in deep humiliation finds himself feeling completely alone. Listening again forty four years on, the song has a real pathos, its full of charming innocence too. Yet, the 'naturally' suffix is ironic; typifying the common conception that to end up alone is somehow, well, a failure. The current chapter from 'Celebration of Discipline' looks at Solitude from a very different standpoint, and challenges that conception in two ways. First, that Solitude and Alone-ness are not the same thing. Solitude is a 'state of the heart that can be maintained at all times' (p120). Jesus sought that type of solitude in countless ways. Second, that Solitude is the opposite of failure, it is the essential precursor to a 'deeper, fuller exposure to the presence of God' (p133). I asked a friend today whether, as a married man with young children, he ever craved Solitude. He replied that he could find that in a relationship where silence was not an embarrassment, and being together and 'spiritual solitude' were both simultaneously possible. There are real encouragements for us there, whatever our status, and wherever it is we find ourselves. 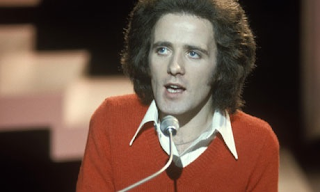 Gilbert O'Sullivan found himself, in his jilted and 'alone' state, feeling that he had also been abandoned by God. Foster claims something rather different for us. That Solitude, far from an divine desertion, is the very gateway for knowing God. This week, a friend mentioned that she had noticed a homeless man outside her Battersea coffee shop as she went in to buy a morning coffee. She stopped on seeing him. She noticed how cold he looked. And she asked if he would like a coffee too. He did. Her story reminded me, ever so slightly, of one told by Donald Nicholls in his book 'Holiness'. He relates the story of a group of American theological students undergoing an experiment conducted by psychologists. They were told it was an exercise in verbal retention. Each of the students was invited to a separate room where they were read a passage, then sent to the end of a long corridor outside to another room where they would try to repeat what they heard. Words were recorded and verbal retention would be measured by comparing the student's words with those in the original passage. In fact the psychologists' aims were rather different. Half the students were read the story of the Good Samaritan. The other half a random story. They had stationed a person halfway down the corridor in a shallow alcove, someone clearly rather battered and distressed. The proportion of students stopping to help this person was very low, and was no higher amongst those who had just been read the Good Samaritan parable. One further twist - within the 'parable group', a proportion had been told to hurry to the end of the corridor. Of that group not a single one had stopped to help. Hurry blinds us. Our lives are lived in a hurry; we are continually 'very busy'. As if our busyness is necessarily a virtue. I attempted to sit entirely still for ten minutes on Thursday. It was not as easy as it might have been, and my mental state remained rather rushed, even when my body was still. Learning to stop is a prerequisite of a spiritual life. If we cannot stop, what chance is there we might experience God? In his compelling chapter on the discipline of solitude, so asks Richard Foster. What would it take to make us stop? © 2016 Holy Trinity Claygate. Powered by Blogger.